An attractive and enticing city, with red-orange stained buildings, rich history, and air of the exotic make Marrakesh irresistible. 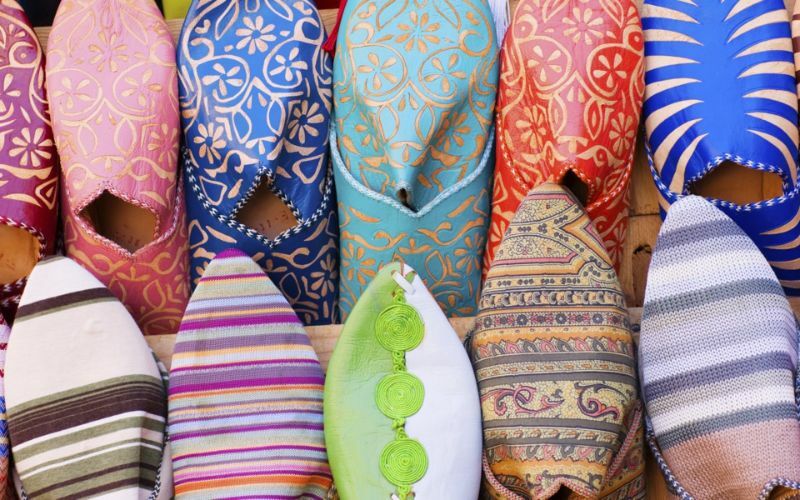 When you think of Marrakesh, you are probably conjuring up images of snake charmers, dancers, musicians and storytellers. 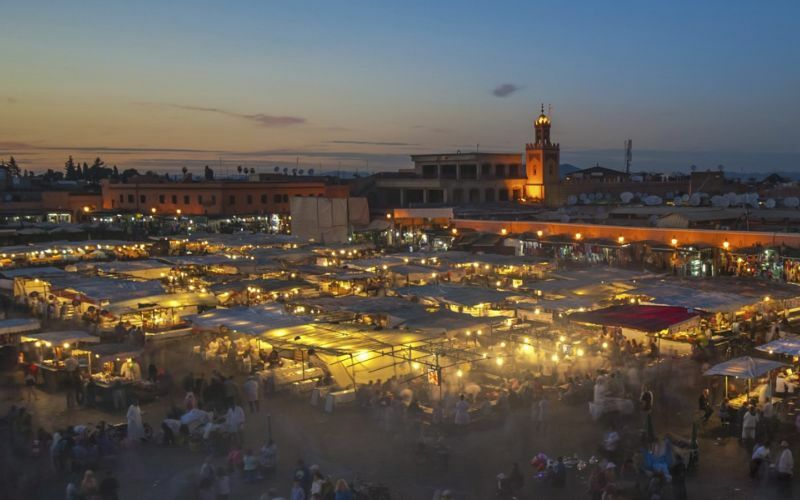 As cultured and energetic as Marrakesh may be, it is one of the few places in the world to have embraced modern-day living without losing touch with its exotic, medieval heritage. It is a place that is quite magical; the sun, smells and sheer vibrancy of life can easily whisk you along on a Moroccan adventure. 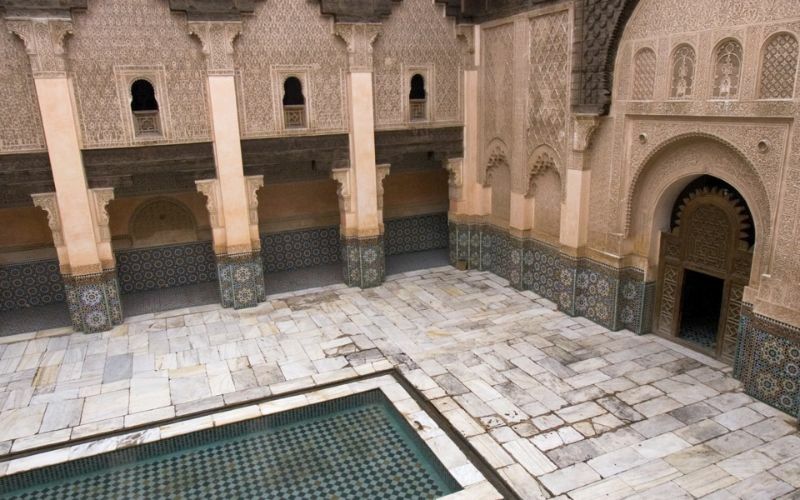 The ancient walls of Marrakesh enclose a city that was once the capital of a huge empire, and its property is evident in the beautiful architecture that remains. 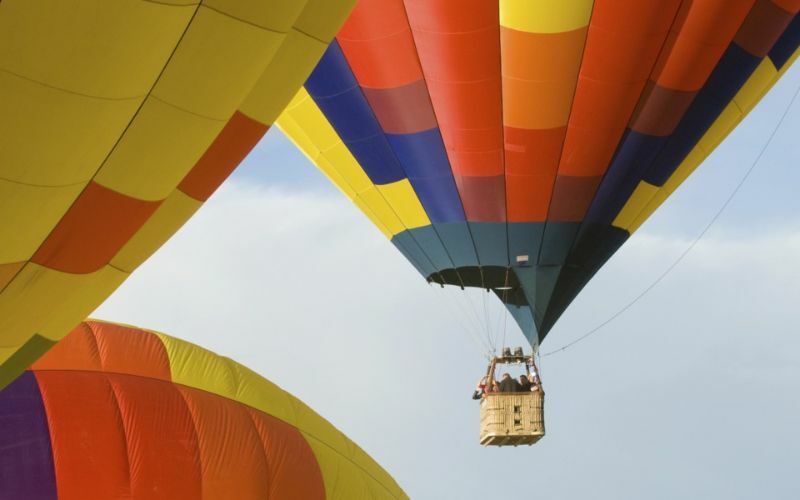 For a once in a lifetime experience, you can drift over the beautiful surrounding areas of Marrakesh in a hot air balloon while drinking a glass of champagne, toasting to new adventures. At night visit the Jad Mahal, a decadently decorated bar, restaurant and dance complex that’s one of the city’s hottest nightspots. Dine in style while tasting the tang of Moroccan cuisine. 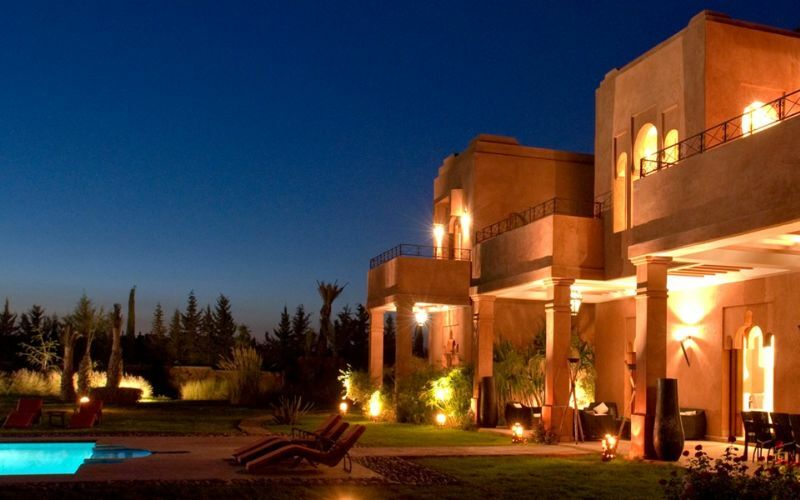 Marrakesh is a feast for the senses in more ways than one. 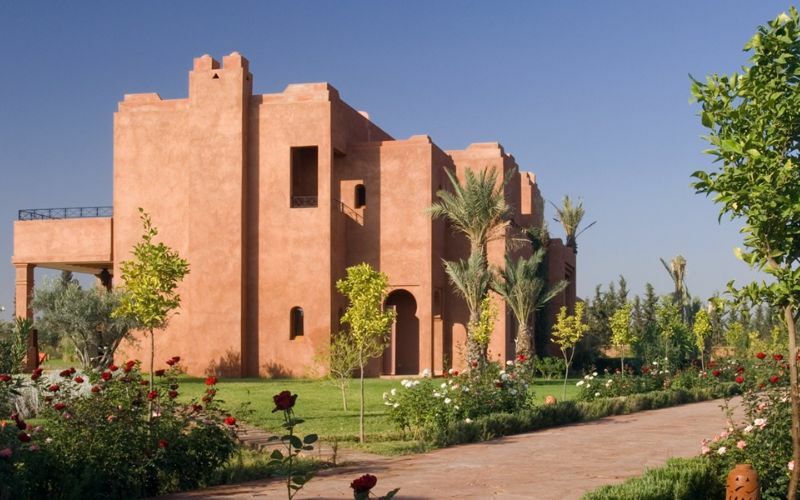 The best times to visit Marrakesh are from March to May when spring is in full bloom, bringing a fresh burst of color with a variety of vibrant blossoms; and between September and November, as these shoulder seasons have ideal conditions for exploration. Although the summer can be hot, the Red City is still very popular among tourists. As the summer crowds wane, those who visit in the fall enjoy milder temperatures, and the famous Oasis Fest and Sun Festival, wooing all music lovers. Rainfall 1.3 in. 1.5 in. 1.5 in. 1.5 in. 0.9 in. 0.2 in. Rainfall 0.0 in. 0.1 in. 0.2 in. 0.9 in. 1.6 in. 0.5 in.